I attended the SAP for Utilities conference earlier this week in Huntington Beach and I have to say I am impressed by the progress American utility companies are making towards being more customer centric! The event was titled Sustainability for the New Energy Era and there was a full track dedicated to Smart Grids (obviously I attended almost all of the talks in this stream). Attendance at the event was surprisingly strong with around 800 delegates despite the current economic woes. 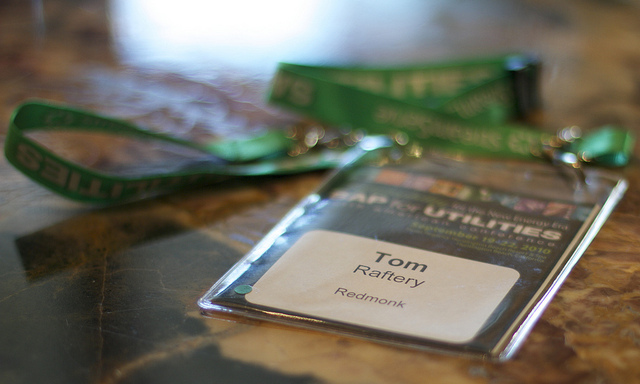 This is the third SAP for Utilities event I have attended and I have to say I was very pleasantly surprised at this event by the number of times customer needs were referenced. Almost all of the Smart Grid talks mentioned the need to involve consumers in the process. Obviously, this is a point I have been banging on about for some time, but it is fantastic to see that the utilities are starting to finally get the message. For each of the last eight years, SMUD has received the highest customer satisfaction ratings of any utility in the state in the J.D. Power and Associates survey. SMUD received the second-highest score in the nation for commercial customer satisfaction in 2010. One reason for this is that Sacramento Municipal Utility District is a community owned electric utility governed by a seven-member elected Board of Directors. SMUD are far from being unique in this model. During Paul’s talk he highlighted other reasons why SMUD is so popular amongst its customers. SMUD take customer feedback very seriously – in fact, they solicit it. SMUD holds regular focus groups of their customers to find ways they can improve their offerings. Also, the Board of directors goes out and holds meetings in the community to educate customers about the need for smart grids and consequently they don’t incur any of the blowback which plagued PG&E’s efforts in this area. Paul commenced his address by paraphrasing Bill Clinton and saying that utilities need to realise that “it is the customer, stupid!” Now, coming from a utility co., that is refreshing! Lastly, SMUD uses the term customers, not consumers or worse, ratepayers, as many utilities do. Just that slight shift in the lexicon says a lot about how SMUD prioritises its clientbase. Utilities could learn a lot from SMUD’s focus on the customer – the good thing is that judging from the conversations I had at the SAP for Utilities event, the tide does appear to be turning in that direction. I’m curious to understand what other types of programs they used besides focus groups and soliciting feedback. Or was that all it took to give them the JD edwards award?